PCM is a major publisher in the Netherlands. They operate the four largest Dutch-language newspapers. In this campaign, they wished to inform current and future advertisers about new advertising opportunities in their newspapers. 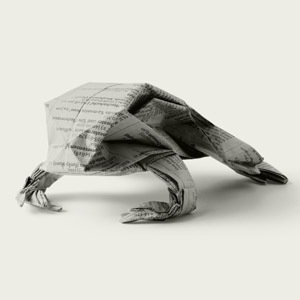 The frog is folded from a single uncut square.